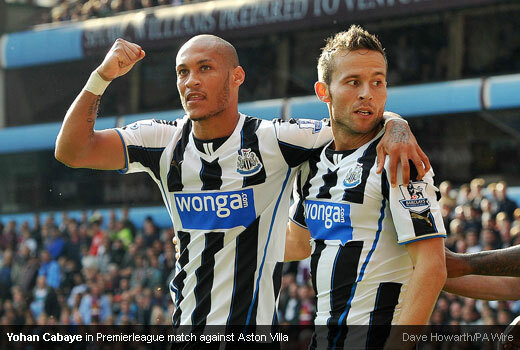 One of our French legion Yohan Cabaye has officially apologised to the Toon Army in an exclusive interview. Cabaye's bid from Arsenal during summer transfer window was later been rejected. In the effect of his transfer speculation to Arsenal, Cabaye was not taking part in Newcastle's first two Premierleague match this season against Manchester City and West Ham as well as in the League Cup against Morecambe. Coming on as a substitute against Fulham in the previous matchday, Cabaye regained his position back in Toon first team squad against Aston Villa last Saturday and quickly shown he's still one of Newcastle United quality player. We, the Toon Army accepted his apology and when he was substituted at Villa Park, the travelling Toon fans give him a fantastic ovation for his part in Newcastle first away win this season.